Are you looking to learn Serbo-Croatian so that you can travel and experience new cultures? Perhaps you want your kids to take Serbo-Croatian classes or want to impress your spouse? Here is a platform to learn Serbo-Croatian online through Skype from native tutors! Serbo-Croatian was the official language used in the former Yugoslavia. It is a south Slavic language that was standardized in the 19th century. The language was based on the Štokavian dialect. After the disintegration of Yugoslavia in 1991, the single composite language was broken down into four individual languages. At the present, there are four standard language-successors of Serbo-Croatian. In Serbia it is called Serbian, Croatia it is called Croatian, in Bosnia and Herzegovina it is called Bosnian and Montenegro it is called as Montenegrin. All these countries were the parts of the former Yugoslavia. The term “Serbo-Croatian” is mostly used today as an umbrella term for the languages that belong to the family. 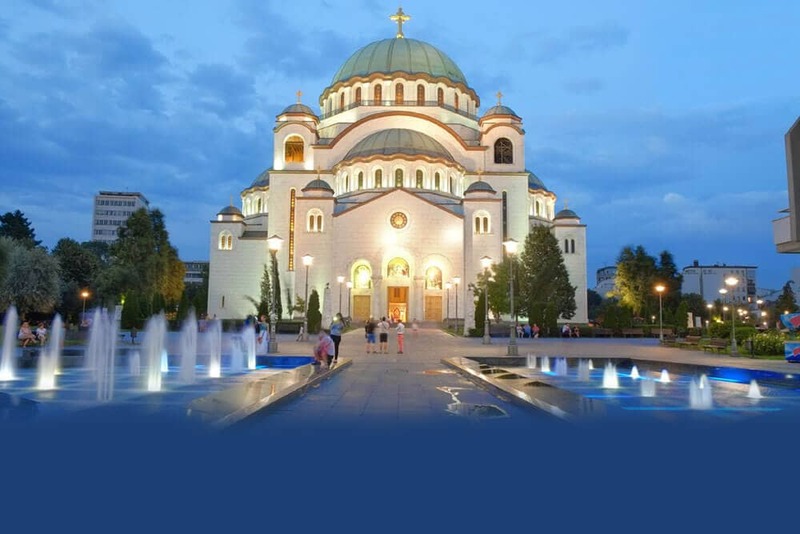 Serbian, Croatian and Bosnian are all mutually intelligible and the differences between them are very minimal mainly in terms of syntax, vocabulary and pronunciation. While Croats and Bosnians use the Latin alphabet, the official Serbian script is Cyrillic. Do you need to speak Serbo-Croatian for business or want to add another language skill to your resume? Or maybe you just enjoy learning new languages. Whatever your reason to learn Serbo-Croatian, here is a platform where you can learn Serbo-Croatian online via Skype from native experienced tutors! Learning Serbo- Croatian can be useful when travelling in the former Yugoslavia. This is a very scenic part of the world and an attractive travel destination. The place boasts of sun kissed beaches, dozens of inhabited offshore islands, green undulating countryside, enchanting old cities and antique monasteries. The place also is known for its rich and mouth-watering culinary traditions. You can enrich your holiday experience by learning to speak the local language. Serbo-Croatian language is useful in all the four former republics of Yugoslavia. So you will have lot of opportunities to meet new people and make new friends. The knowledge of the language will give you a deeper insight into the various culture, traditions and lifestyle of the native people. They also have a surprisingly large amount of good quality contemporary music, Nobel Prize winning literature and some fantastic independent films. You can enjoy all this in the original form without anything getting lost in translation. Hope these reasons are good enough to get you started on your Serbo-Croatian learning adventure. Here is a place to learn the Serbo-Croatian in a fun and easy way irrespective of your geographical location. We offer online Serbo-Croatian language classes through Skype. Using Skype, you can receive an online one to one tuition just as if you were in a classroom. Learning one to one makes the experience more interactive and therefore enhances the learning process. All that is required are a computer, a high-speed internet connection and headphones. Our platform offers you complete flexibility to work around your schedule. In addition, the cost of using our Skype Serbo-Croatian language classes is lower than if you had one to one tuition with a tutor. So join our online Serbo-Croatian language classes today and make the most of your Serbo- Croatian speaking skills! You can now take Serbo Croatian classes one-to-one using Skype with a tutor of your choice. Our Serbo Croatian lessons are custom, effective, comfortable, and fun. Pick a tutor NOW! Choose anything specific. Whether it is conversational Serbo Croatian classes, business Serbo Croatian lessons or just learning how to greet and impress a loved one. We can help you with them all.